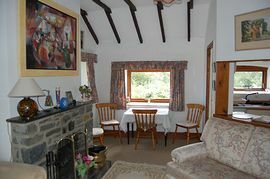 A family holiday cottage in fantastic condition and great location. 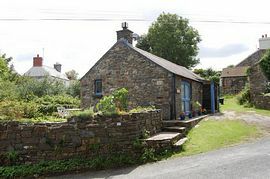 Easy walk to two lovely beaches, coastal path to Newport (3m) Fishguard (4m) Sleeps four, off-road parking, reasonable rates, local help, management, great references. At the door-step: The coves at Pwllgwaelod and Cwym-yr-Eglwys; Pembs coastal path; Dinas Head (voted AA Walk of the Year); Preseli hills, open bracken and heather, brilliant hill walking. Five mins by car: Newport village for restaurants, golf. Fishguard, characterful, historic, bustling, interesting. 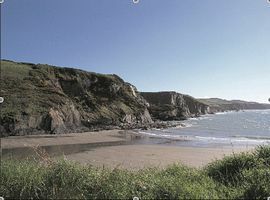 A longer drive to St Davids, Milford, Tenby, Haverfordwest. No agents. Contact us today. Local Services: Village is one mile, with bus service, two shops, two pubs. Train to Fishguard, then Taxi. Drive via Cardigan or Fishguard. From £245.00 to £585.00 per week. Summer holiday weeks run from Saturday to Saturday. Other times of year are more variable.